Building stuff with cement, the design, etc. 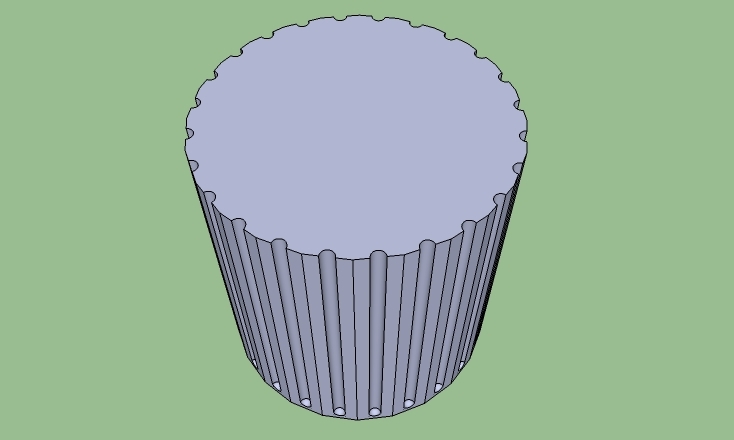 The other day I saw that someone visited my site who had been searching for examples of how to draw a fluted column using sketchup. So, I here’s a couple pictures I did showing my results. The first two are a completed drum, at least that how the Greeks used to call it … the third is the lower part of the ‘flute’, which was for me more difficult than the rest, before moving it into position in the center of a ‘flat’ on a circle. I admit it took me more than a couple tries to get the ‘follow me’ tool to take one of the ‘cresant moon’ shapes around the half circle correctly to form the half-bowl. Then it was a matter of copying .. rotating .. and moving to the centers of the flats of the circle. To make the last part of the process easier and faster I got all the ‘half bowls’ positioned in a quarter circle … then copied, rotated, and moved them to form a complete circle. Then the push/pull tool to extend the whole surface to a desired height … It took a little time, but, there it is ! 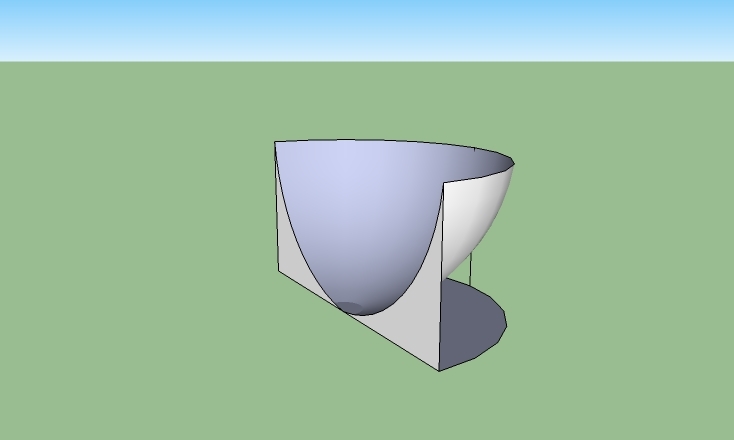 I will be glad to do sketchup designs … especially if it’s something that relates to the projects I work on. ~ by Ed B on February 2, 2010. Thank you for this. 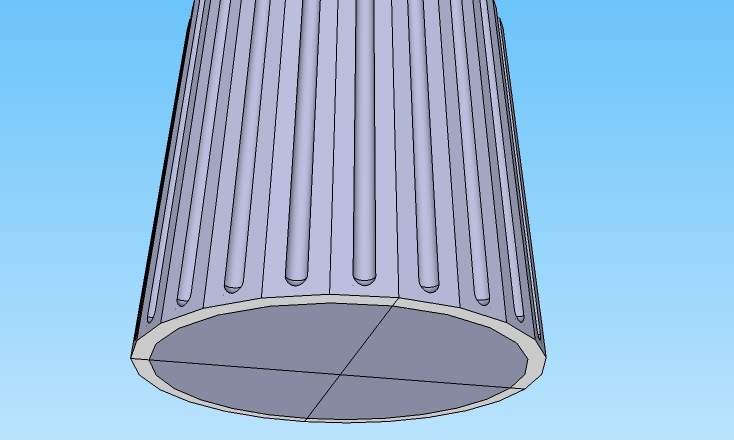 However, I would have approached it slightly differently by using the “rotation” tool to replicate the fluting around the column.